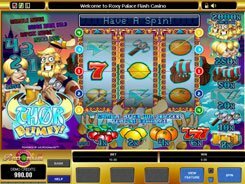 This is a 3-reel slot with a single payline. 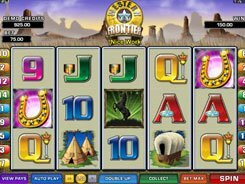 Though fairly simple, it stands out from other Vegas-style machines and pub slots. 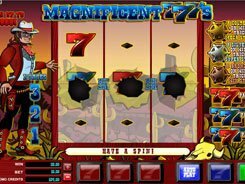 The only feature here that is pertinent to classic fruit machines is Sevens available in two color variants. Along with Red 7s and Blue 7s, the symbols set includes bronze, silver and golden Sheriff’s Badges. And that is all. 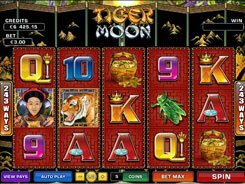 A bet range is $0.1 to $10 which is actually typical of three-reel machines. 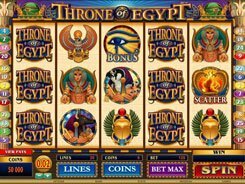 There are three regular combinations that bring you a win: any three Sevens pay out x2, three Blue Sevens pay out x10, and three Red Sevens yield the top prize worth x200 times a bet ($2000, on a maximum bet). 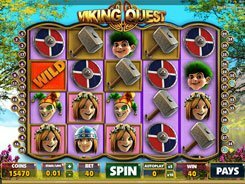 At any time when spinning the reels, you can be randomly awarded Nudges that can be useful in some situations. Sheriff’s Badges act like a kind of bonus symbols that activate a Streak feature if any Badge occurs on reel 2. In the bonus feature, you have the same symbols and combos, but all payout values are massively increased. For example, the feature triggered by the Golden Badge can potentially pay out up to $60,000. PLAY FOR REAL MONEY!